Some individuals had wide plates, some had tall, with the wide plates being up to 45 per cent larger overall than the tall plates. 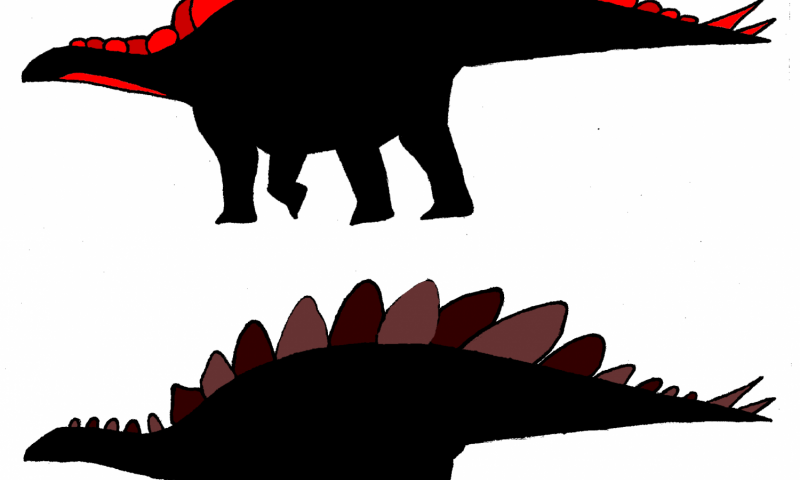 According to the new study, the tall-plated Stegosaurus and the wide-plate Stegosaurus were not two distinct species, nor were they individuals of different age: they were actually males and females. Professor Michael Benton, Director of the Masters in Palaeobiology at the University of Bristol said: "Evan made this discovery while he was completing his undergraduate thesis at Princeton University. It's very impressive when an undergraduate makes such a major scientific discovery." Sexual dimorphism (a term used to describe distinct anatomical differences between males and females of the same species) is common in living animals - think of the manes of lions or the antlers of deer - yet is surprisingly difficult to determine in extinct species. 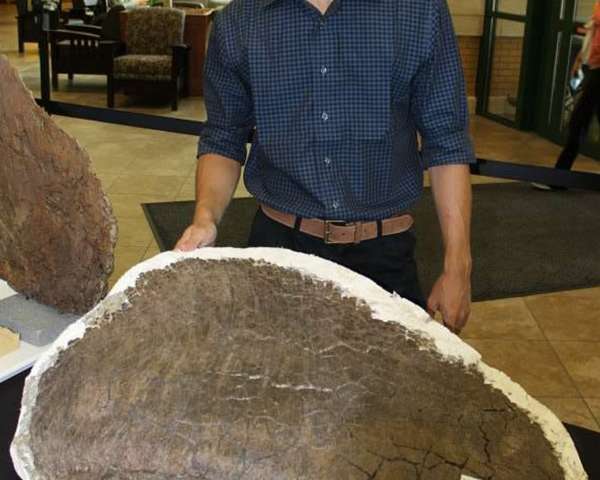 Having spent six summers in central Montana as part of an excavation crew digging up the first ever Stegosaurus 'graveyard', Evan Saitta was able to test these alternative explanations and others in the species Stegosaurus mjosi. Speculating about which is which, Evan Saitta said: "As males typically invest more in their ornamentation, the larger, wide plates likely came from males. These broad plates would have provided a great display surface to attract mates. The tall plates might have functioned as prickly predator deterrents in females." Not only does Saitta's work show that dinosaurs exhibited sexual dimorphism, it suggests that the ornamentation of at least some species was used for sexual display.